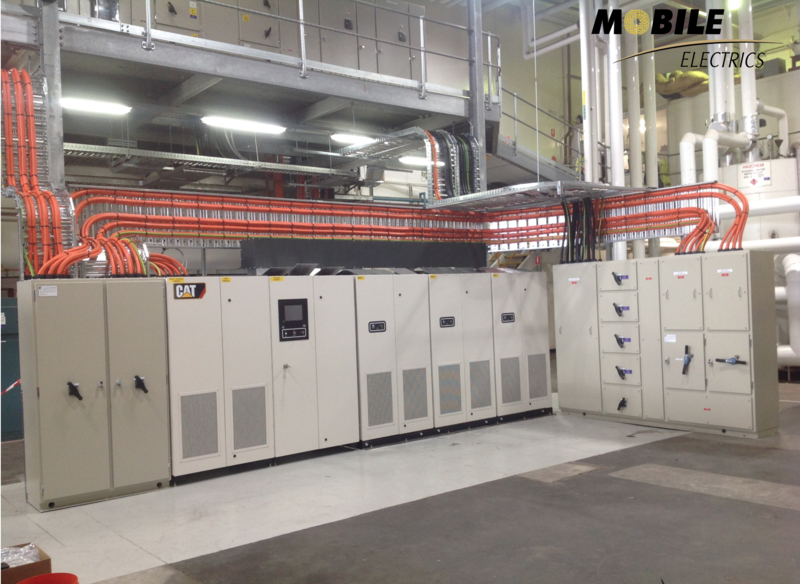 Mobile Electrics was recently approached by a leading manufacturer in chocolates and confectionary sweets in Ringwood, Victoria, to design and install an uninterruptible power supply (UPS) at their operating plant. They had an issue that when the street supply had a spike or flicker, any computer controlled equipment in the factory failed, this meant that a restart of the production lines could take hours, which of cause means loss of money. The UPS uses kinetic energy via 3 x 250 KVA flywheels that provide emergency power for approximately 15 seconds when the main power source flickers or dips, this enables the protected production lines to continue to run unhindered. 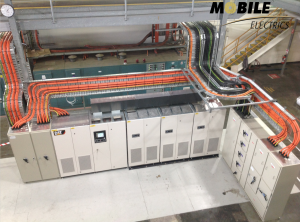 Mobile Electrics assisted in the commissioning process, ensuring that everything was complete to a high standard and fit all of requirements provided. Mobile Electrics also completed the installation on time and within budget. 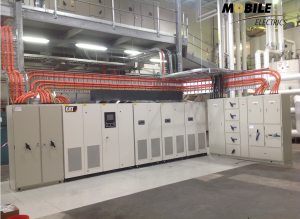 The system the Mobile Electrics has installed uses the latest technology in UPS equipment, ensuring that the plant will not have to worry about power outages for the future. The UPS is now fully operation and protecting the power supply. Copyright © Mobile Electrics Pty Ltd, All rights reserved.